What started as a small idea for a family BBQ picnic fundraiser has turned into so much more, thanks to precious friends who have given or their time and energy to make this event a success! Addie woke up this morning and asked in excitement, “Is it tomorrow? ?” YES!!!! Which means TODAY IS THE DAY! LOTS of awesome raffles! 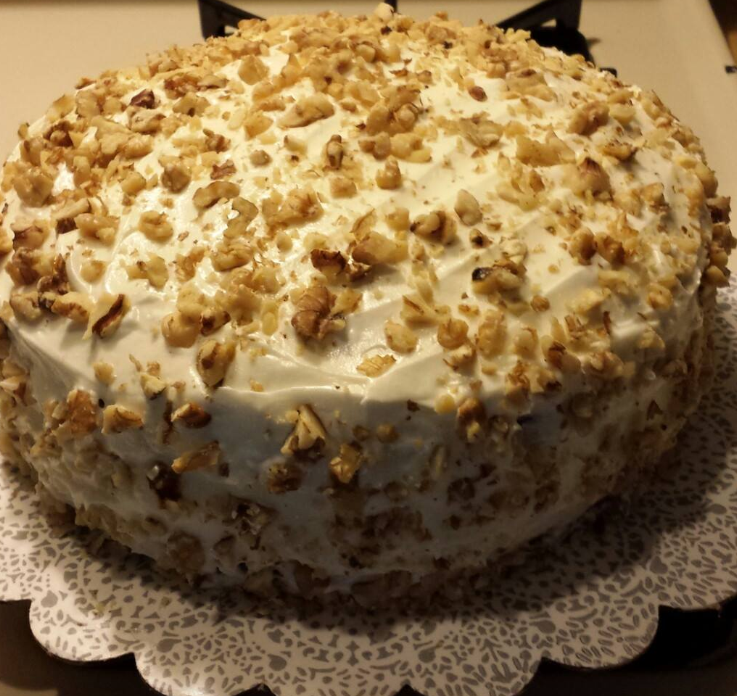 Cakes and desserts! 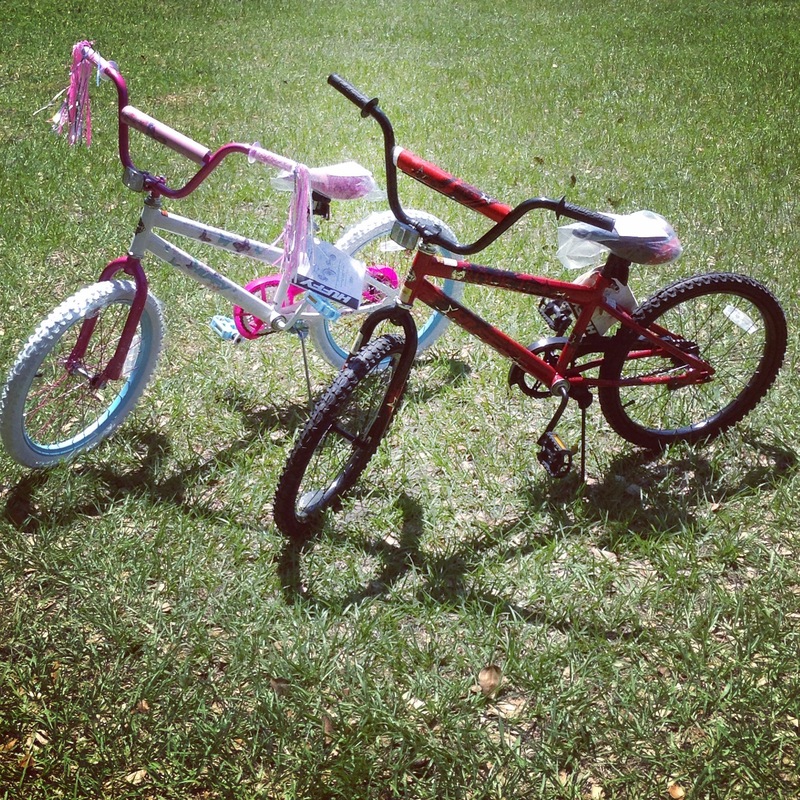 Kids bicycles! Family Pass to Skate World! $25 to J. Burn’s Pizza! 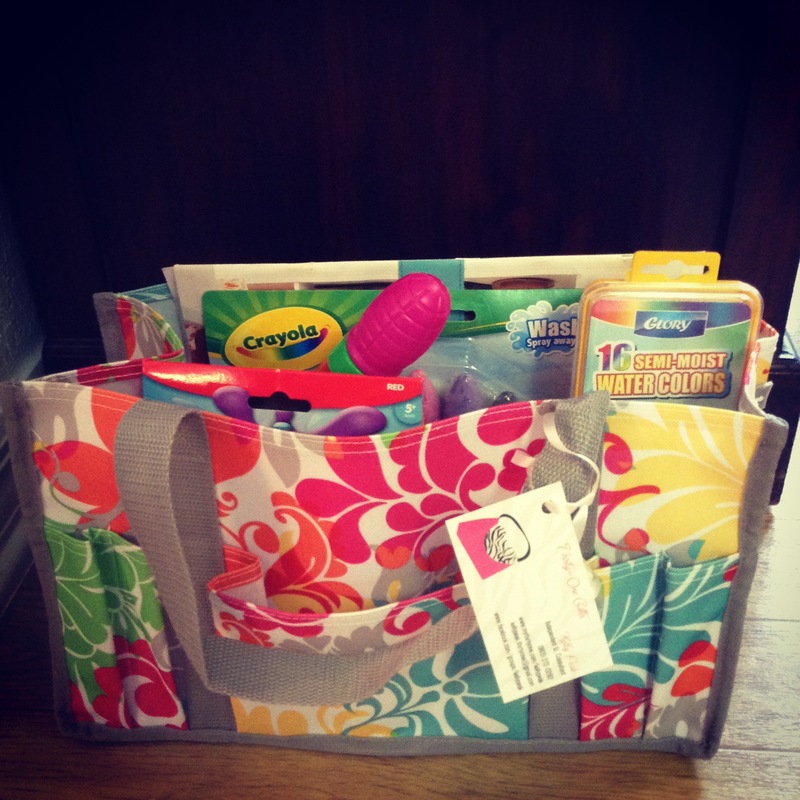 Thirty-one bags! Photography sessions! Mary Kay! And lots more! 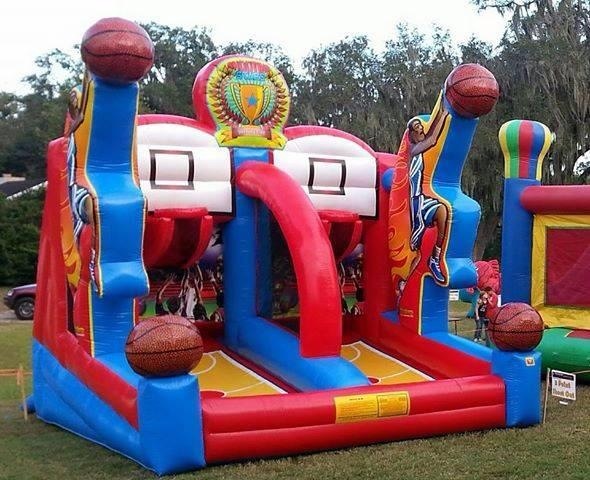 3 big bounce houses for the big kids plus a smaller one for the “littles.” Hay ride, train ride, face painting, photo booth and fun games. oh!! And LOTS of YUMMY FOOD!!!! All proceeds go to Judah’s therapy fund which covers what can add up to $1000/month in costs for therapies and specialists. 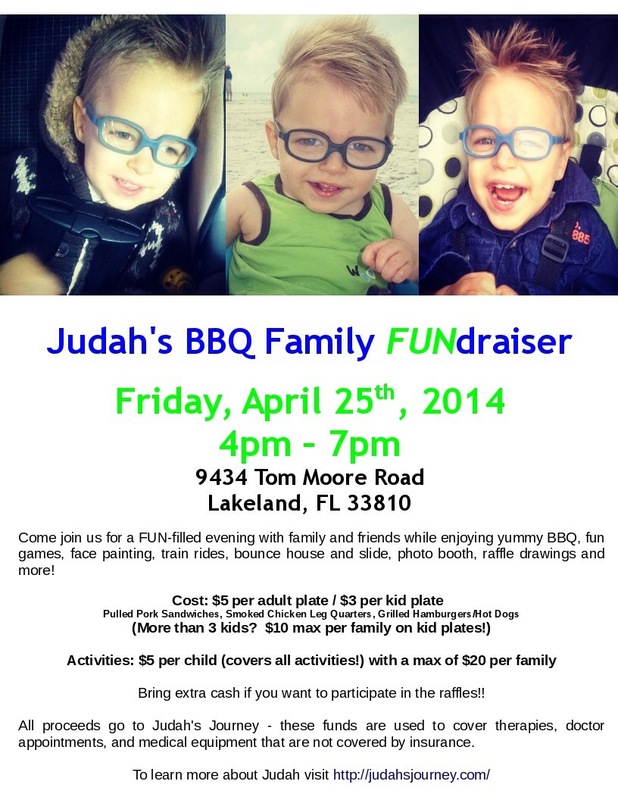 If you are unable to attend but desire donating towards Judah’s Journey click “Make a Donation” on the right hand side. We love you all! We have been absolutely blown away by your generosity and kindness!! Exciting news!! 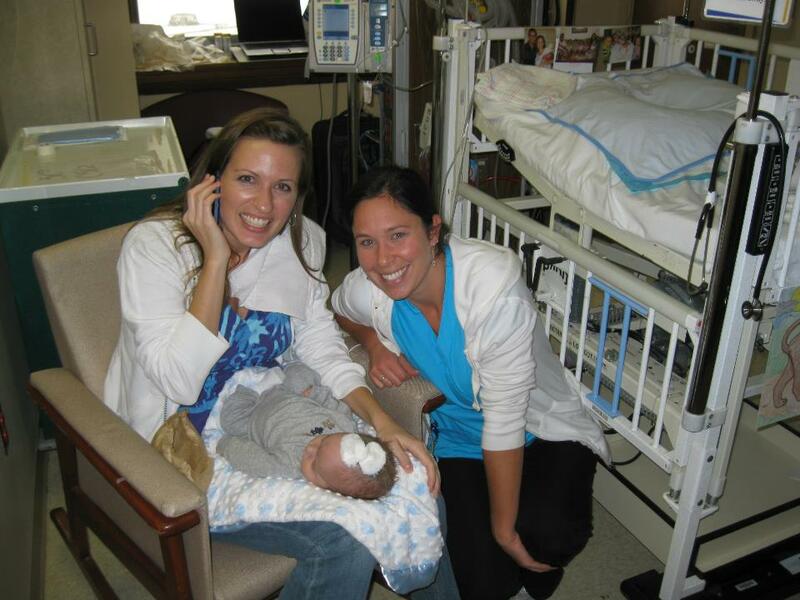 Judah’s story is being used to help inform other parents on the importance of vitamin K! It’s now on the CDC’s website. Check it out! ….Whoa!! Wait a minute!!! Did I just share a CDC website??! If you know me at all you know I love a good ol’ fashion natural remedy. I love herbs. I love vitamins. I love essential oils. I love chiropractic care and massage therapists and holistic doctors and midwives and home birthing. I think it’s so cool that I can give arnica (a homeopathic remedy) to my kids after they fall down or bonk themselves and they don’t experience much bruising or swelling. I love applying RC (a Young Living essential oil) to my kids and seeing them breathe better and stop coughing. I love that I can increase calcium and magnesium and drink some coconut water for potassium and the charley horses I experience at night during pregnancy go away! I mean, really! How cool is God that He made all of this available to us?! But guess what else I now love?! Balance! It’s true, this once hard-core, all natural, home birthing mama is finding balance. Two and a half years ago, in a matter of minutes, I was launched from an all natural world to a world swarming with medical doctors, hospitals, therapists, specialists and medicine. Whoa! What a complete shock! There was no time to resist the change. I jumped in. I was determined to no longer question the doctors or their advice. Just obey. One of Judah’s many precious nurses! They were such angels to us! But I later realized that I, personally, could not jump from one extreme to the other extreme. I could not jump from all natural home births to fully medicated hospital births (unless under the leading of the Lord or found medically necessary). I could not abandon natural remedies to restock my medicine cabinet with only over-the-counter medicine. There had to be a balance. I could not put 100% blind faith into doctors alone. Why? Because the medical field is made up of imperfect humans just like myself. Doctors make mistakes too. There isn’t one perfect route to health. There must be balance. For example, after Judah was released from his initial stay in the hospital I noticed that his head circumference was growing rapidly. I began reading about hydrocephalus, measuring Judah’s head, and looking at pictures of other children who had hydrocephalus. I approached four of Judah’s doctors and pointed out how fast Judah’s head had grown. They dismissed my concerns. 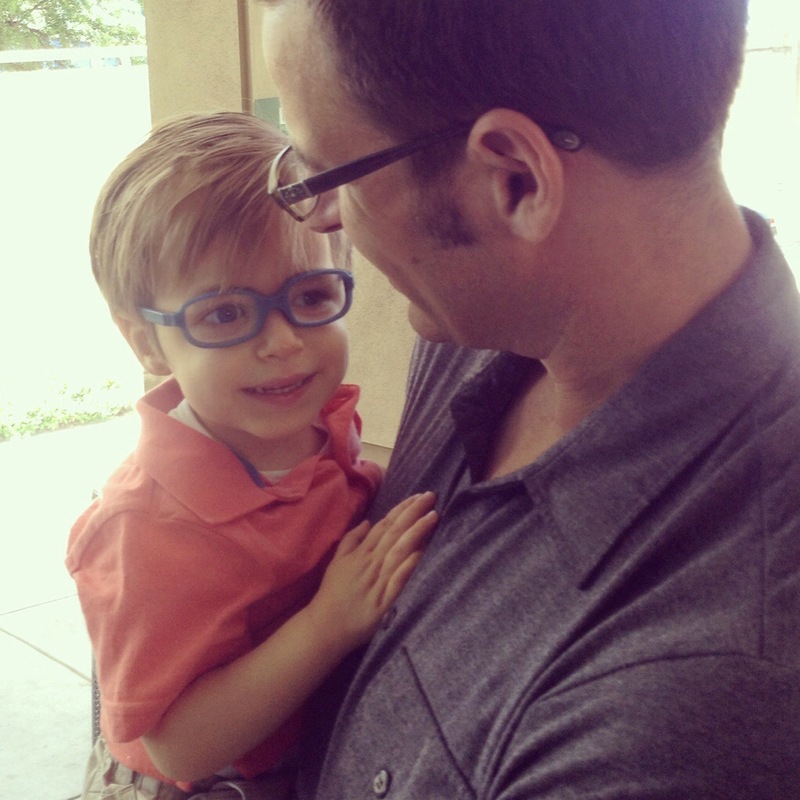 We called our pediatric neurosurgeon directly and told her how large Judah’s head was. She insisted we not measure his head again since we had not been taught the proper way to do so. She told us we were overly concerned and that we needed to relax and just wait to see her at our next visit. That appointment was not until Judah was three months old. The moment the surgeon walked into our room at that three-month check-up she instantly knew we had a problem. She sent us downstairs for an MRI, and quickly began the process of figuring out how to schedule Judah for an emergency shunt surgery the very next morning. Our sweet boy the day after his shunt surgery. A year later, one of Judah’s doctors showed me the MRI’s and pointed out the difference in brain damage from Judah’s initial bleed and from the hydrocephalus. In those 2.5 months of being dismissed by doctors as an overly concerned parent the pressure of built-up fluid on Judah’s brain caused further damage. I was devastated to see the difference and know it could have been avoided. So now what? Clearly neither side of the fence is perfect, so where do I take it from here? My first step: Forgive and forget the past, and keep my eyes fixed forward. I can’t afford to look back at my mistake or the mistakes of the doctors. Would you know that since sharing publicly of the guilt I struggled with over not administering the vitamin K shot that I have not had one struggle with that guilt ever since??? Praise God! 🙂 And just as my mistake was unintentional I know the doctors’ mistakes were also unintentional. God’s bigger than all of it! Second step: Pray and find balance. As I move forward I see my need for more wisdom and more prayer surrounding every decision made about the health of my family. I can’t put God in a box. He is not limited to only one way of bringing healing. I have experienced supernatural healing in my body that came instantly in a prayer service. 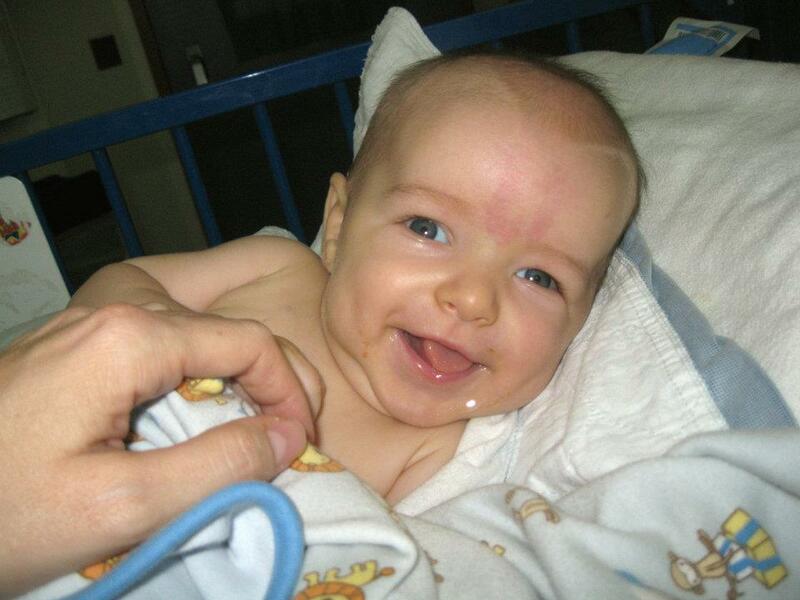 I have witnessed God using a team of medical doctors to save my son’s life. And I have used natural remedies successfully for a number of years……Balance…I am finding that balance…I’m so very appreciative of the doctors and therapists and midwives who have patiently walked with me as I ask questions, seek understanding, and, at times, take some extended time to seek the Lord before jumping in. They’ve recognized that this is a new season for me and I’m thankful for their grace.